Student Council Prays with Student Body, Thursday, May 5th! Trinity Academy’s student council prayed with individual students and the student body on Thursday, May 5th in honor of National Day of Prayer. Students read prayers written by themselves and other students over the loud speaker every hour throughout the school day. 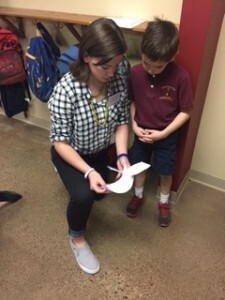 The Student Council also asked for prayer requests and met with the students who requested them to pray individually. 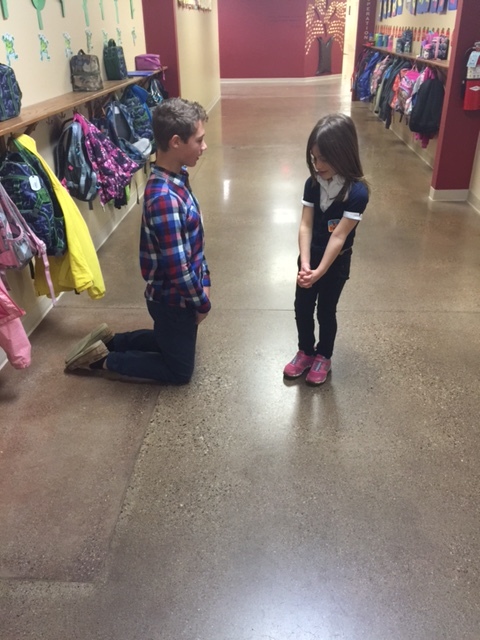 Trinity’s students are so privileged to be able to pray during their school day. Thank you to the Student Council members for making the National Day of Prayer a testament to their faith and the students at the Academy! 8th Grader and Kindergartner pray together. 8th Grader and 1st Grader pray together.